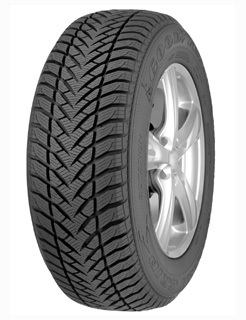 This 4X4 tyre give drivers the opportunity to tackle the worst of winter conditions. Goodyear’s 3D-BIS Technology uses interlocking blades and provides a high number of biting edges to ensure all-round winter traction. The high density radial blades help to maintain excellent traction on snow, ice and in the wet. The longitudinal blades enhance handling on frozen and thawing roads too. Off-road terrain is comfortably tackled by this tyre. The shoulder blocks are designed to quickly rip through and evacuate mud and snow, whilst wide grooves in the tread are designed to shed water and slush to avoid aquaplaning.